Even with many feeling a let down, the new blockchain platform EOS is taking center stage very often in the crypto-community. It is a project that is attempting to fix existing problems that its former depending-from network Ethereum blockchain is facing. One of them being reaching complete decentralization which cannot happen immediately as its governing does not come from the community but form a foundation. Many are pointing ahead to a token price of above $30.00 at the end of the year. All this due to its MainNet launch that is running but mostly from a could-take place similar bull run how Ethereum experienced the last year. From $10.00 in Jan to near $285 at the start of July. Speedy calculation equals to over 2.5k% in six months. The catalyst to its predicted momentum as mentioned might turn to be very Ethereum-like that took place in mid-2017. The big thing now is EOS, talking bubbles all around the cryptoverse. Not long ago, the Chinese Gov ranked cryptocurrencies and EOS turned number one leaving behind platforms like NEO or ETH. A second reason is that the creator of EOS, Block.one, wants a complete overhaul of the constitution. EOS is set to abolish its controversial constitution. This move comes barely two weeks after the launch of its mainnet. 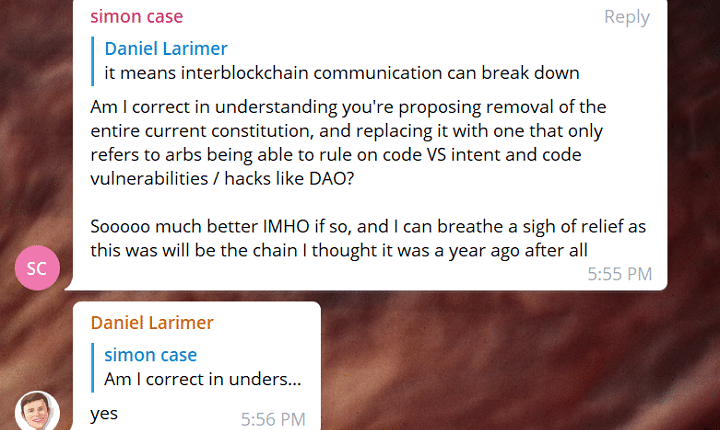 In a Reddit post by “SonataSystems,” screenshots from the EOS telegram chat show excerpts of a conversation between Dan Larimer and Simon Case. Larimer is the chief technology officer (CTO) of EOS. The discussion can be viewed in the image below. Another hoisting factor could be Bitcoin’s movement. What happened on this date is that Bitcoin broke free of the $6,200 levels it was hovering around and went up a few hundred in value to settle at the current levels of $6,640. A healthy Bitcoin means a healthy crypto market and EOS will also ride the wave of good fortune. 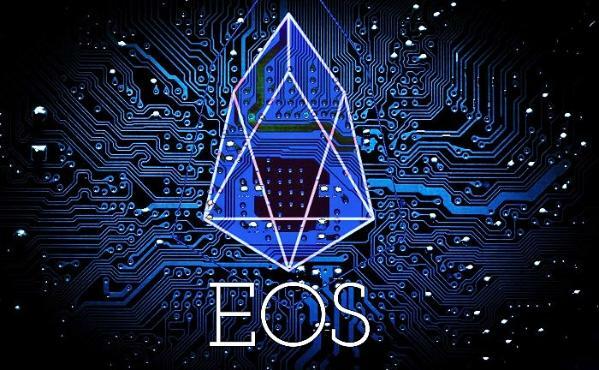 The post Hold Your EOS as Future Price Prediction are Looking Above $30 appeared first on Ethereum World News.